Last month an over 10,000-strong horde of startup entrepreneurs, venture capitalists and media representatives flocked to Helsinki to attend Slush, a two-day technology and startup event that seeks to pair great ideas with investors. Even the Chinese Vice Prime Minister Wang Jang joined the party. This is quite noteworthy since the concept only got started in 2008 by a small group of Finnish entrepreneurs who wanted to bring the local startup scene together at least once every year. Now Slush is one of the leading tech and startup events in the world. At the opening ceremony, Finland’s Prime Minister Alexander Stubb praised the massive growth of the event and startup scene and noted that politicians actually have little to do with it – it’s primarily an entrepreneurial achievement. Slush. Photo by Sami Heiskanen and from Slush’s Facebook page. It’s however no secret that policymakers from all levels of government see wet dreams of being able to claim some credit and transfer what goes on inside Slush to their home towns. Who wouldn’t in these uncertain economic times? On the one hand there’s post-financial-crisis stagnation slowing down the economy across the board and on the other economic restructuring, which is constantly replacing jobs in manufacturing with service-sector jobs. 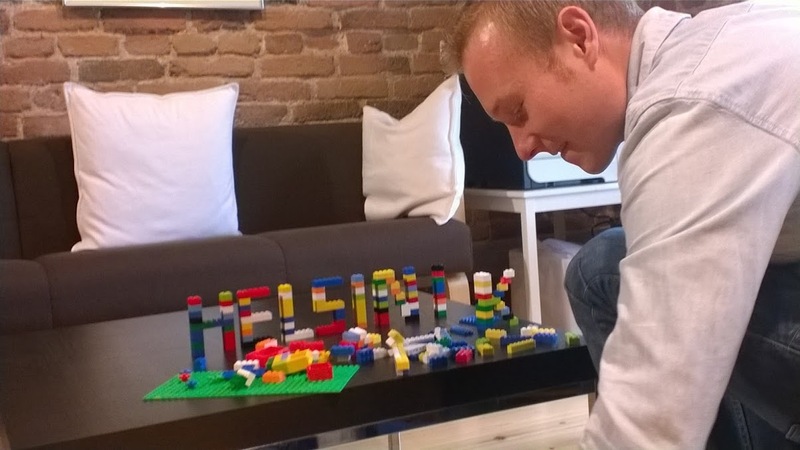 Today, only a tenth of the Finnish workforce is still working directly with manufacturing. And on top of it all, most new jobs are forming in the country’s largest urban areas leaving peripheral cities built around manufacturing in biggest trouble. As a result, a lot of energy around the country gets spent on trying to nurture startups, discussing about the need to innovate, and, essentially, solve the economy puzzle. I don’t have a magical solution to creating booming startup ecosystems, but I want to stress that urban policies matter and should not be underestimated. I especially want to highlight two simultaneous and intertwined themes I think Slush-high urban policymakers aren’t necessarily grasping: 1) how the pace and scale of how Slush has been growing is linked to the fact that we are undergoing a significant transformation in the culture of how and where we live and work; and 2) that we keep on ignoring the potential of culture and art in economic urban development. These processes are happening through changes that are impossible to capture accurately and holistically. But they nonetheless do happen and will continue to happen in urban space. The knowledge-based economy is as much brick and mortar as it is flows of goods, services, finance, people and ideas. To give you some real-life insight on what I’m talking about, I’ll go over my own experiences. The concept of work has in fact been on my mind a lot recently, because during the past few years I’ve had the privilege to get a hands-on experience on how the circumstances around it are changing. What’s interesting here is not so much what I did or do now, but how pretty much everything related to how and where I work has changed. Let me walk you through it. In 2011, I scored my first “serious” job at the Greater Helsinki Region development office. Working there meant a framework of fairly fixed working hours and a lot of time spent sitting in my office room accompanied by my computer. Even though I had a laptop, I was in reality strongly attached to the office because accessing data could primarily only be done from there. Thus, work also rarely followed me home. The occasional exceptions to this basic setting was attending internal meetings and project meetings. 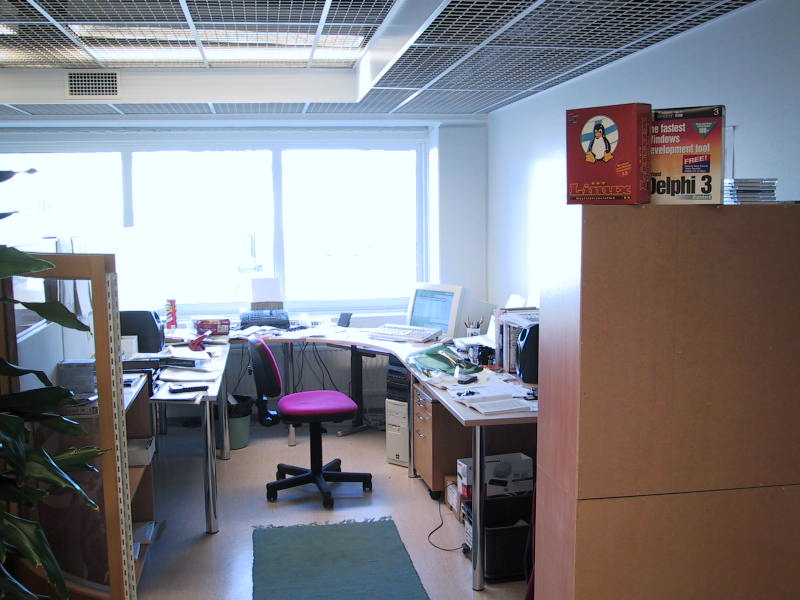 The former often took place in the office and the latter usually in central Helsinki. These were the times when most interaction with colleagues took place. The conventional office setting from the era of desktops. Photo courtesy of Ville Säävuori. After a year of working, I chose to go back to school for another degree. And a year later, I was once again back on the job market. Back to slowly discover that the economy had become sluggish and companies were rather giving people the boot than hiring. After depleting my savings, I finally understood I needed to completely rethink my relationship towards working to be able to get my hands on work I wanted to do. Ultimately, I became self-employed and started collaborating with different organizations doing interesting work in my field rather than working for them. The beautiful environs of MDI’s and Mapita’s hub. Photo by Tytti Isokangas. Urban Policy discussions at the hub. Photo by Anssi Kumpula. Hub at work. Photo by Anssi Kumpula. Behind the glass and curtains is Kelaamo, the hub’s meeting room. Photo by Anssi Kumpula. This meant adapting to new working habits. I now work from anywhere I want and anytime I see most suitable. One great option is to hang around at the coworking hub set up in Katajanokka by MDI and Mapita. Working there is a mix of throwing around and testing ideas, helping each other out, and socializing across organizational borders. Besides at the hub, my meetings take place in inner-city offices, restaurants, cafes, bars, or over the internet. Thanks to technological advances, doing an early morning meeting in my pajamas is no issue at all. All in all, everything is now significantly more flexible and I feel like the boundaries between my “work self” and “non-work self” are becoming very blurry. Me getting creative at the hub. Photo by Satu Tolonen. Probably not many can relate directly to my experience of such a quick transformation in working habits. But even if you are still working mostly the way I did in my old job or experiencing something completely different, I’m sure that most of you can sense signs of the conventional 9-to-5 and only-work-at-your-desk workplace breaking down. Who for instance doesn’t read their email during trips between home and work? The impact these trends have on our office landscape is that organizations are downsizing to smaller and openly furnished offices and larger premises designed to accommodate old-school work life are in the process of being hollowed out. This is because organizations don’t need to invest into offices that can sit each employee in at once. Or they couple or group up with other organizations and/or the growing army of value-driven solopreneurs under the same roof for synergy benefits. As companies and individuals are drifting towards something often described as the “sharing economy”, the office is increasingly more a place where you meet people instead of your computer and desk. With trends like this gaining strength, Helsinki and other major Finnish urban centers are facing a growing surplus of vacant business premises. This is especially the case with office space in the Capital Region with one million square meters of vacant office space. The vacancy figure is closer to two million square million (ca. 1.7m) if you add empty retail spaces, warehouses and the like to the mix. That’s nearly equal to the floor space of seven Empire State Buildings. Yes. Seven. It’s not only empty offices. 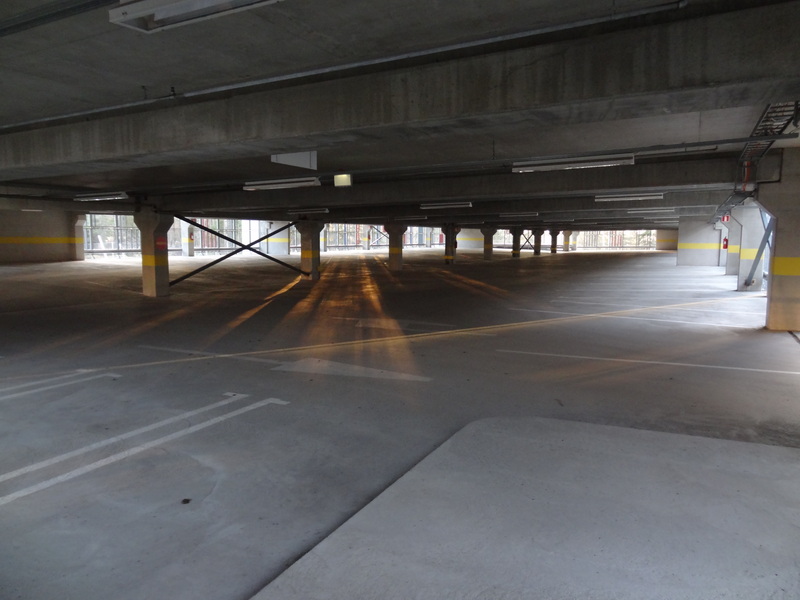 I found an empty five-story parking garage in Karaportti, Espoo. That’s a lot of underperforming space right there. Since Helsinki is experiencing a housing crisis, many logically think that if businesses don’t care for these premises, let’s simply transform them into housing. This sure can be an option in some places, but generally I wouldn’t rush into conclusions. I can’t say for sure, but certainly looks like this building in Karaportti is not in very efficient use. We should first ask do these locales represent the kind of places people see themselves living in. Back to my story. When working at my old job, I already lived in the inner city of Helsinki. But my workplace was far away. Or that’s how it at least felt like. 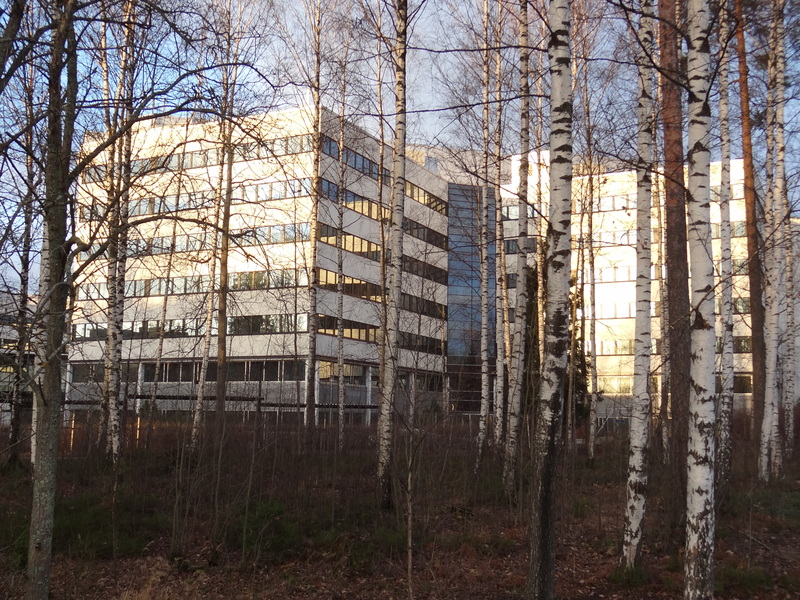 Work was tugged inside a building called Innopoli 1, deep in the heart of Espoo’s Otaniemi. This is the science and business park that is best known for the innovation scene which for instance sparked the now diminished global success of Nokia. Back then, I drove my commutes as it was the most convenient option at hand. Scheduled meetings aside, I rarely left the building during my work day, for example to eat lunch. This was because Otaniemi is so dispersed that you didn’t really have sensible options to choose from. Especially walking was out of the picture. A few times when I had the opportunity to take a longer lunch break and eat lunch with friends from different Otaniemi-based organizations, I needed to hop behind the wheel and pick them up one by one for us to manage a meal together. Naturally, there also was no place to hang out after work. I truly felt like spending time in another dimension compared to how I spent my time outside office hours. In strict contrast to the days I was working in Espoo, I now rarely need to leave the parts of Helsinki I mostly like spending my time in. Looking back, it’s insane how much time and effort I used to spend commuting or going to meetings during the work day. I believe I can speak for many when I say that instead I very much enjoy being able to walk to shops, restaurants, cultural amenities, and social venues. Now work is never far away from those amenities – sometimes it’s as close as a few sleepy steps from my bed. The thing policymakers ought to note is that as we are increasingly working from anywhere and at any time, the idea of separating the city into areas of work and areas of living is becoming obsolete. Emily Badger describes it well when she writes that to some extent we can speak of “a return to the ways people worked before the Industrial Revolution, when shopkeepers for instance lived in apartments above their stores”. Just like within the world of work, density and proximity have become something near to a new norm when choosing a place to live. Which are the locations with easy access to most opportunities and amenities? The Karaportti office park is not close to bars, cafes, restaurants, or much anything for that matter. So not very surprisingly, Otaniemi represents the types of places where the rates of vacant office space are the highest. The most recent property market overview by Catella reports that Espoo’s vacancy rates have hit a new high of more than 20 percent. The key vacancy clusters are Karaportti and Espoo’s central office sector along Länsiväylä between Keilaniemi and Matinkylä. 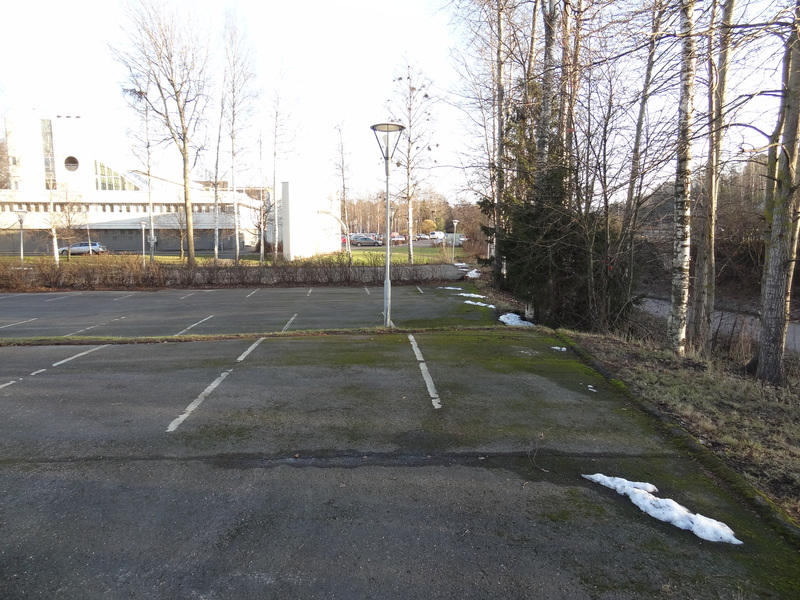 In the suburban city of Vantaa that borders Helsinki in the north, especially empty big box retail outlets and logistics facilities add up to the massive vacancy total. All of these areas are built based on the idea of separating living and working from each other and are poorly connected to other places in the Capital Region. It doesn’t look too busy in this office building in Espoo. In comparison, best-connected Helsinki’s office vacancy is below the 10-percent average of European capitals whereas Espoo (20.1%) and Vantaa (16%) are in a league of their own. In the bad sense of the expression. With respect to the big picture, it’s quite illuminating that this fall we’ve even seen the big box retailers Gigantti and XXL Sports open shop in downtown Helsinki. Employers and services are increasingly coming to where the talent and customers are – not the other way around. So what does this all mean for urban policy and getting more of that Slush magic? Bruce Katz and Julie Wagner from Brookings Institution think it’s time to adapt to a new spatial geography of innovation: “The trend is to nurture living, breathing communities rather than sterile compounds of research silos”. Their message is that we should already forget the old pattern of developing isolated science and business parks and instead start speaking of “innovation districts”. Katz and Wagner define these as “geographic areas where leading-edge anchor institutions and companies cluster and connect with start-ups, business incubators, and accelerators. They are also physically compact, transit-accessible, and technically-wired and offer mixed-use housing, office, and retail”. In essence, today’s pathway towards a booming business city is to build dense, lively, and connected mixed-use urban fabric that facilitates “open innovation” based on networks, collaboration and sharing ideas instead of everyone “inventing on their own in real or metaphorical garages”. For urban planning, the key aspect here is promoting a high level of connectivity. 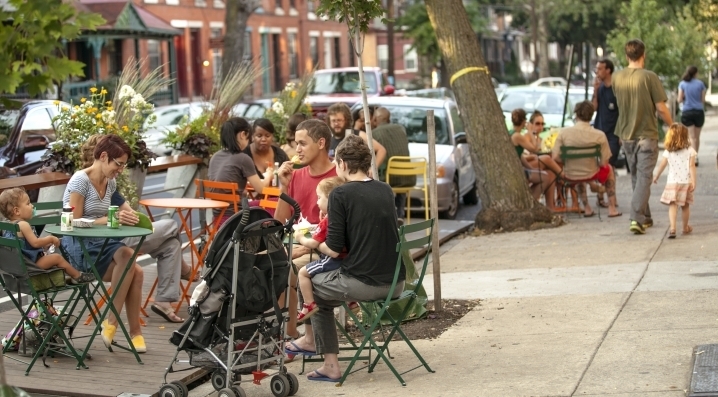 A growing share of people appreciate being able to connect to other people, to functions and amenities within their neighborhood, to other neighborhoods and to other cities. Remember my experience from Otaniemi? That’s the kind of stereotype for an innovation landscape you don’t want to plan anymore. The “anchor plus” model, primarily found in the downtowns and mid-towns of central cities, is where large scale mixed-use development is centered around major anchor institutions and a rich base of related firms, entrepreneurs and spin-off companies involved in the commercialization of innovation. University City, Philadelphia represents the “anchor plus” model. Photo courtesy of University City District. The “re-imagined urban areas” model, often found near or along historic waterfronts, is where industrial or warehouse districts are undergoing a physical and economic transformation to chart a new path of innovative growth. This change is powered, in part, by transit access, a historic building stock, and their proximity to downtowns in high rent cities, which is then supplemented with advanced research institutions and anchor companies. 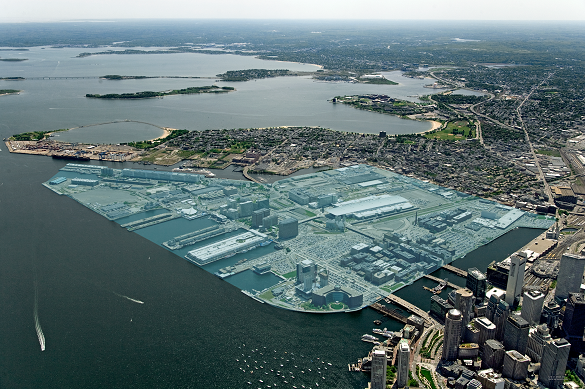 The site where Boston’s Innovation District is being re-imagined. Photo credits: Boston Redevelopment Authority. 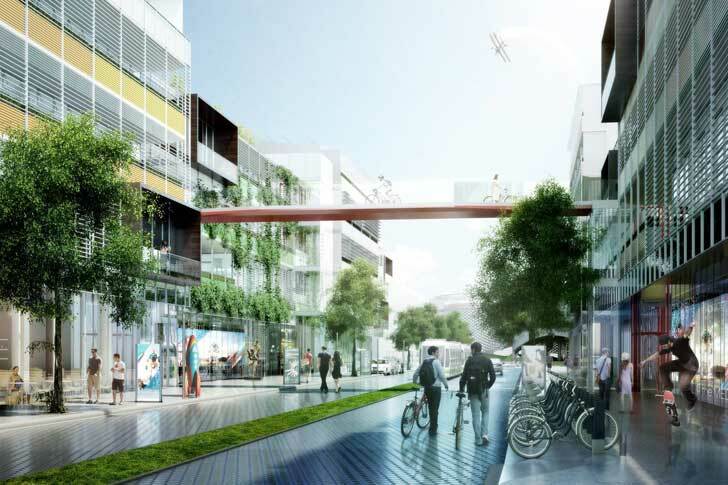 The third model, “urbanized science park,” commonly found in suburban and exurban areas, is where traditionally isolated, sprawling areas of innovation are urbanizing through increased density and an infusion of new activities (including retail and restaurants) that are mixed as opposed to separated. The Research Triangle Park in North Carolina is developing towards an “urbanized science park”, Katz and Wagner argue. Photo source: Inhabitat. 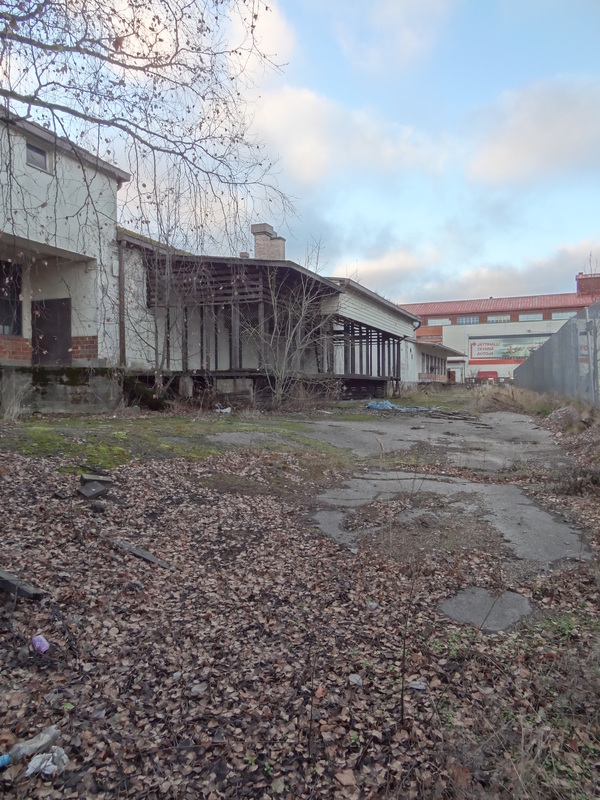 The “urbanized science park” is obviously just what the doctor prescribed for Otaniemi. But again, before calling in the construction cranes, here’s another point to stop and start looking around more carefully. This brings us to the other dimension of urban economic development that I wish was taken more seriously. In line with what for example Richard Florida has told us for years, studies are confirming that the locations and expansion of innovation districts are linked to cultural and arts clusters. In fact, after using a survey of nearly 90 percent of U.S. arts employment, Carl Grodach found a very strong correlation between arts clusters and urban “innovation districts”, suggesting that they can play a larger role in economic development. In Helsinki it is for example clear that much of the startup scene and economic activity is clustering into the heart of the local (and national) cultural scene – the inner city. That’s also where the much discussed emergence of new bottom-up urban culture is taking place and the business ecosystem I would associate with the “anchor plus” model is thriving. As is happening in Helsinki’s inner city, the cultural and creative industries scene is obviously much to thank for triggering the attractive vibrancy aspect of urban settings that increasingly many young talents want to consume as part of their preferred “quality of life”. All work and no play makes Jack a dull boy. Ääniwalli is an edgy club venue in the inner city. The problem just is that we still don’t know how these connections exactly work. Helsinki’s historic core has naturally nurtured interesting urban culture for centuries, but say if we were to begin updating Otaniemi from an isolated and closed innovation system towards the “urbanized science park” concept, how can we design the necessary “coolness” that would stimulate people to embrace the area and innovate? I don’t think we can. But what we could do is ease the opportunities of arts-based actors and creatives in finding spaces to do their thing. This summer I had the pleasure to visit Oberhausen and get acquainted with Kitev, a great example of the transformative power of the arts sector. 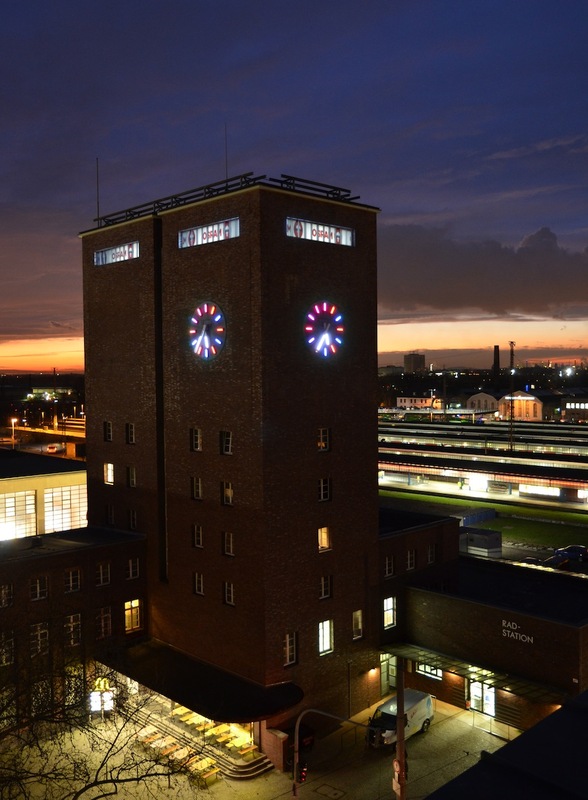 The story behind Kitev is that a group of artists were eventually allowed to take over the long-obsolete water tower and office building of Oberhausen’s railway station. 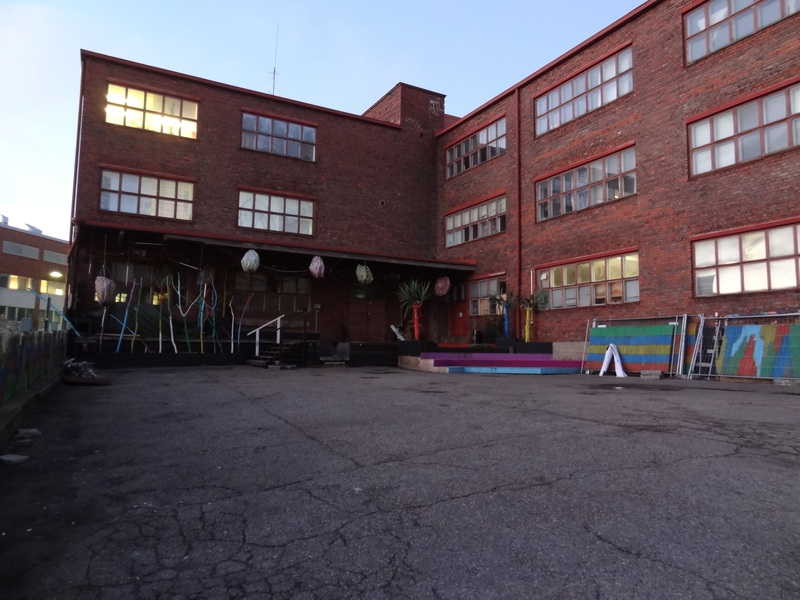 Ultimately, the artists transformed the building into a contact point and platform for the local art and creative industries scene. And through that and their many interventions, Kitev has managed to breathe new hope into the local community for being able to attract young urbanites to stay in the city. Kitev has been an essential force in re-imagining Oberhausen. The Kitev tower. One of the first things the artists did was to repair the dead clocks. Very symbolic. Image source: Kitev. With this general idea in mind, the last point I want to make is that as we as individuals, entrepreneurs and employees are becoming more mobile, flexible and value-driven, cities need to stop thinking they can control the flows of people and investments that shape our cities and how we experience them. It would be much more fruitful for them to get inspired by the idea of co-creation and open innovation, too. And essentially, to begin identifying strategic places where the potential for new innovation districts are the greatest and, ultimately, start re-imagining them with the particular forces driving change. So more concretely if I were in charge, I’d support pairing emptying office space and warehouses with interests of the creative sector in already relatively well-connected areas. If something interesting ever starts happening, I’d incrementally begin following up with whatever needed to support that particular potential innovation district. Could Herttoniemi-Roihupelto Be Helsinki’s Upcoming Innovation District? Alternatively, if I wanted to get my new local innovation district underway right away, I’d start looking for well-connected areas where such processes are already happening now. 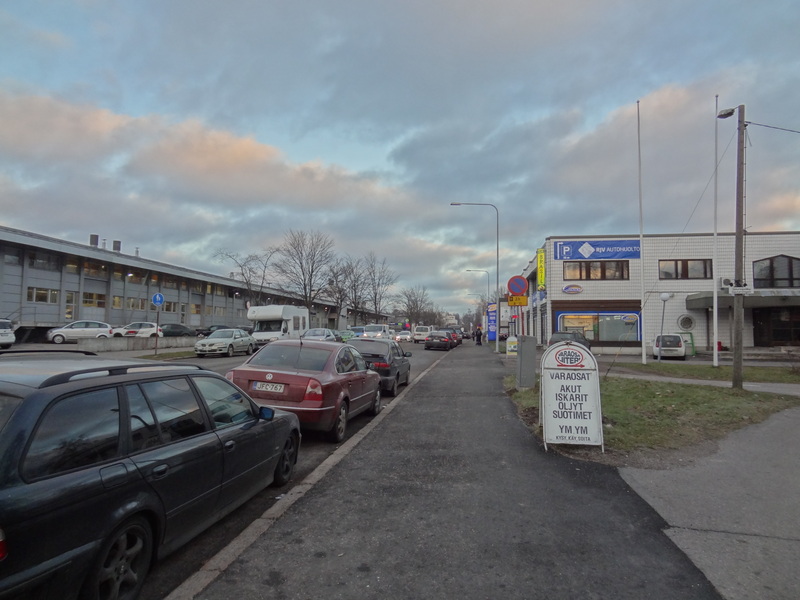 In the Helsinki area, my first choice would be to start eyeballing the area of Herttoniemi-Roihupelto, located 7-8 kilometers east from the city center. This is a zone covering two square kilometers of low-tech jobs, predominantly geared around retail (e.g. car dealers), small-scale manufacturing and services (such as car maintenance). Or to be exact, that’s how things have historically been. During the past five years or so, the conventional businesses have started giving way to artists, designers, recording studios, architecture firms, and what have you. Roihupelto even has a community of over 60 artists called Taidekortteli (Art block). Also, Herttoniemi is home to Planmeca, a global leader in high-tech health care products. 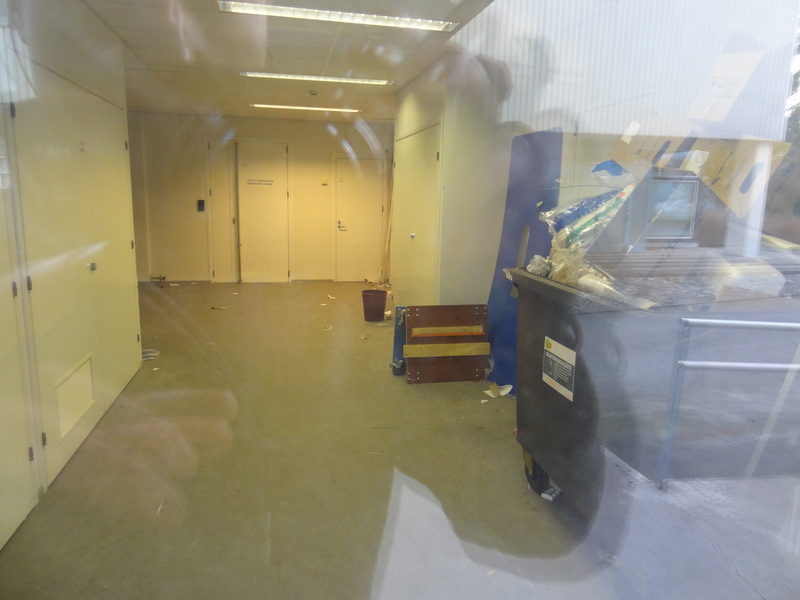 Herttoniemi is also full of vacant business premises. Herttoniemi is home to Finland’s largest movie studio. Verso Design is one of the leading Finnish design brands. Furniture renovation service in Roihupelto. A dressmaker’s shop in Roihupelto. Last week when I visited a recording studio in Roihupelto, the owner said that it would be great if the area could be developed by starting to bring in housing one way or another, because now there is no life in the district. Indeed, the entire Herttoniemi-Roihupelto business zone is basically void of housing. Following modernist principles, it’s been zoned strictly for industrial and business uses. For instance, the ca. 1-square-kilometer area of Roihupelto is home to less than 20 residents. After lunch hours, you can’t even get anything to eat. I wonder if the artists only paint from nine to five? At this moment I’m beginning to see daydreams of incrementally allowing people to transform obsolete warehouses into live-work spaces and allowing for example small and medium-sized construction companies to test new housing concepts on empty land. In short, to allow the place to Berlin-up a bit in its own way. A potential spot for a cool terrace. But unfortunately, it seems that local creativity scene best get accustomed to sticking with the good old nine to five, because at the moment Helsinki’s strategic priority is not to unleash any processes that would support attempts to “Slush” things up. Instead, the goal is to actively try to maintain the area primarily as it is. Or at best, develop it on its conventional assets. As an isolated area of manufacturing and big box retail. I’ll leave it up to you to decide whether that’s a smart thing to do or not. “if I were in charge”… I wish you were in charge! Länsimetro (if they ever finish the damned thing) will nicely connect Otaniemi with the city center. I wonder if at that point a reimagining like you outline would be possible. On a somewhat related note, I really like what they’re doing at Kaapelitehdas, but there should be more of it! It’s a great space and the arts sector has an incredible knack for making places cool. Mixed-use is certainly key, and I’d like to see more social amenities in that area. And yes, Kaapelitehdas is cool! It’s just a shame that the rest of Ruoholahti is so boring..